More Player Models, texturepack, and Optifine, get it! Forums » General Information and News » More Player Models, texturepack, and Optifine, get it! Important Critical More Player Models, texturepack, and Optifine, get it! Alright ladies and gents, the day has come where optifine will now run with More Player Models and i'm going to walk you all through installing it. Before we start I would recommend a clean version of minecraft. Step one, install forge 1.12.1 here. Download and run the installer for client. Once you have done this, open the minecraft launcher and edit your profile. Change the "Use version" and scroll down until you see forge 1.12.1, select it and save your profile. After this launch minecraft once to make sure forge is set up properly. Step two, download More Player Models here. Then download Optfine 1.12.1 here, there have been reports of some versions of Optifine causing crashes, if that occurs download one of the alternate versions they have listed for 1.12.1. Once both are downloaded, open your minecraft directory (DO NOT RUN THEIR INSTALLERS). This can be found by opening any folder on your computer and typing %appdata% in the directory bar at the top and hitting enter. You should see a .minecraft folder, open that folder and locate your mods folder, if there is not a mods folder then create one. Once you find your mods folder drop both jar files for More Player Models and Optifine in this folder and launch minecraft with your forge profile. You're done! As for the resource pack, just download it from here then activate it in your resource pack menu. Note: Apologies for necro-posting on this thread, but I thought I'd share a (mostly) accurate method on figuring out your character height using ratios! (I was also told to post it here, so here it goes.) I learned this method from another server, in which I shared it to another server, and am thus sharing it here as well. Rather than eyeballing heights, which I have noticed many people do, keeping to an actual system can help further immerse roleplay, seeing as many players have the mod already installed! Figuring out the percentages for MPM and how they correlate to real life height has left many confused. Many people tend to "guess" the settings and roll with it, but often times this leads to conflicts over heights. However, fear not, for there is indeed an easy way to calculate your character's height with RATIOS! Step 1: Set field "A" to 100, which represents the default percentage that MPM sets the basic Steve model at. 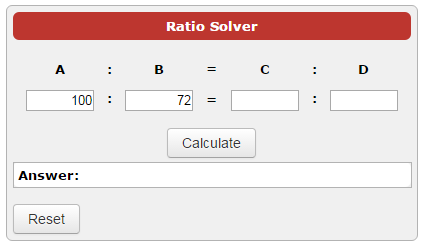 Step 2: Set field "B" to 72. This number represents the default height of Steve, which is said to be roughly at 72 inches, or, 6 ft. Step 3: Leave field "C" blank for now! This will be the result after entering your character's height in field "D". As for setting up field "D", place in your character's height in inches here. For example, say Alice stands at 5'4", which would be 64 inches. Put "64" in "D". 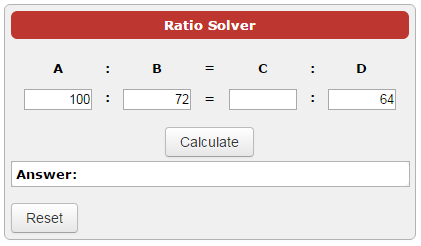 Step 4: Click on "Calculate" and see your appropriate ratio! 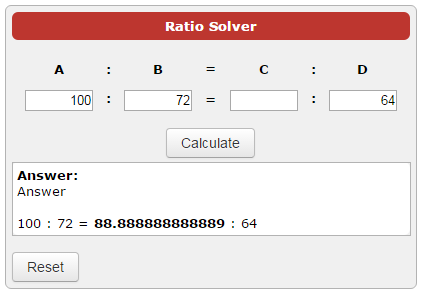 This will likely be a repeating decimal, so simply round to the nearest whole number. 64" will be represented as 88.888888888889, or 89. Step 5: For my MPM percentages, I will set the sliders to 89% and adjust the width and depth accordingly to my character's build and stature! The height, however, I will keep at a consistent 89%! Save your settings and you're all done! In conclusion, hopefully these ratios with MPM can greater influence the visual representation of our Minecraft characters. Dwarves can be properly stocky and orcs can stand brutishly tall! Have fun with your conversions! - The shortest height with these ratios is 3 ft, with the tallest being 9 ft. All races are usually within this range. The Realm of Saphriel relies completely on the donations of the community to run, So please do what you can to help! Everything helps, Not matter how small or large.